"Everyone is exactly like me. There is no one like me. A clone of wealthy eighteen-year-old Raven Rogen, Ven knows everything about the girl she was created to serve: the clothes she wears, the boys she loves, the friends she loves to hate. Yet she’s never met the Authentic Raven face-to-face...She exists for Raven, but is she prepared to sacrifice herself for a girl she’s never met?" The first few chapters I really liked and I was getting into it. But then I found it sort of petered out and died. I no longer cared for Ven, I thought she fell in love way too quickly, and while the story line had some great potential, I didn't find it was that gripping. I liked Ven's friends, who were in the very beginning of the book, but because they weren't really in the rest of it, that element was put to the side and I was a bit disappointed that they weren't in it more. There are more books in this series, I believe, so I suppose they show up more in those books. 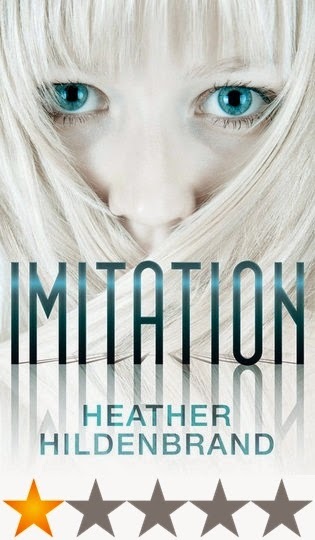 While I didn't really enjoy it very much, if you like stories about clones and national secrets and good looking people riding motor bikes, then give Imitation a go. Just because I didn't particularly enjoy it, doesn't mean you won't! Thank you to Net Galley for providing me with a copy of this book, in return for an honest review. I hate when people compare one author to another or one book to a similar one, so instead I'm going to say: If you like Gillian Flynn's writing - you will love this book. Luckiest Girl Alive is about TifAni FaNelli, a woman who has always dreamed of the socialite middle-class life but belonged to a family of cheap wannabes. Being sent to a prestigious private school and later becoming engaged to a rich blue blood man - she gradually forced her way into a world she was desperate to be a part of. The book uses consecutive chapters jumping from the past events to the present day and comes together nicely at the end in a very neat yet intricate way. To say much more about the plot would be a spoiler - the less you know about this book the better. I really liked that we saw both the present day Ani and the girl she was as a teenager - meaning we got to see how she was now, alongside what made her that way. I can't imagine the story working as well as it did if it hadn't been written this way. The story itself was twisted and the writing style was complex and dark with messed-up characters - which is great for fans of Gillian Flynn like myself. I loved that the story was from Ani's point of view as being inside her mind was a confusing and dark place to be at times, and I really enjoyed that. I was slightly disappointed at the ending, it wasn't quite as twisty as I was hoping for, but I liked seeing how things played out despite being fairly predictable. The book may have benefited from a bigger twist at the ending but I still really enjoyed this book, I look forward to seeing more from this author and I would definitely recommend picking up this book if you like darker character-based thrillers - though I wouldn't recommend reading if you are at all sensitive to topics of sexual abuse or similar topics are a trigger for you. 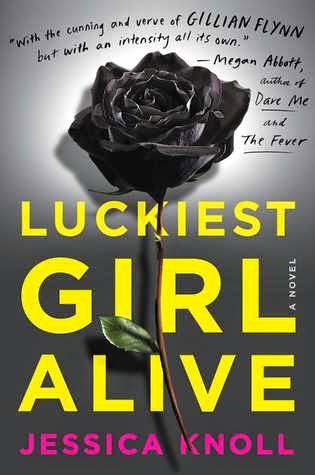 Luckiest Girl Alive will be out May 12th 2015. This post was written by regular reviewer Christina. Get to know her here! This book was received through NetGalley in return for an honest review. 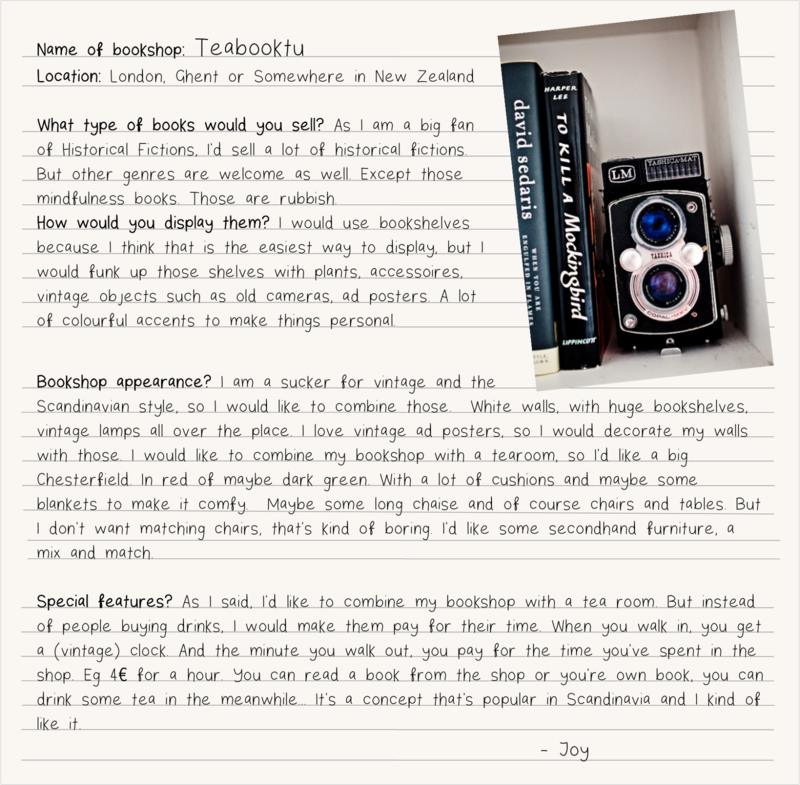 This month's collaboration was inspired by Jen Campbell's latest release The Bookshop Book all about some of the world's most amazing bookstores. 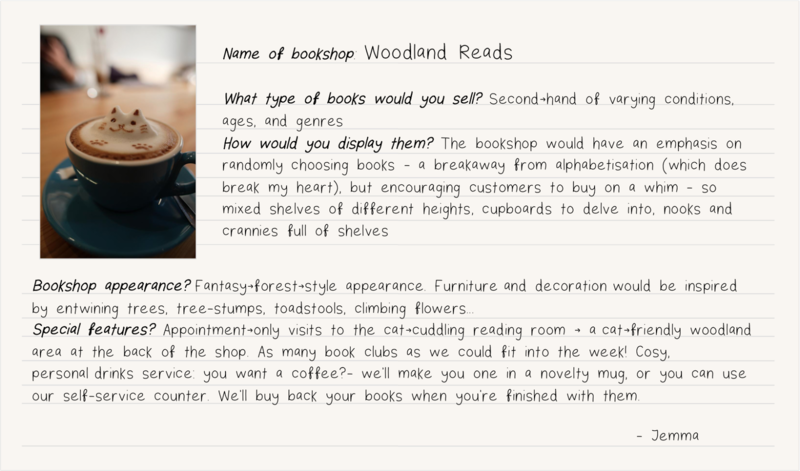 We asked team BB to get creative with a fictional unlimited budget to open their own bookshop, here's what their dream bookshops would look like...! 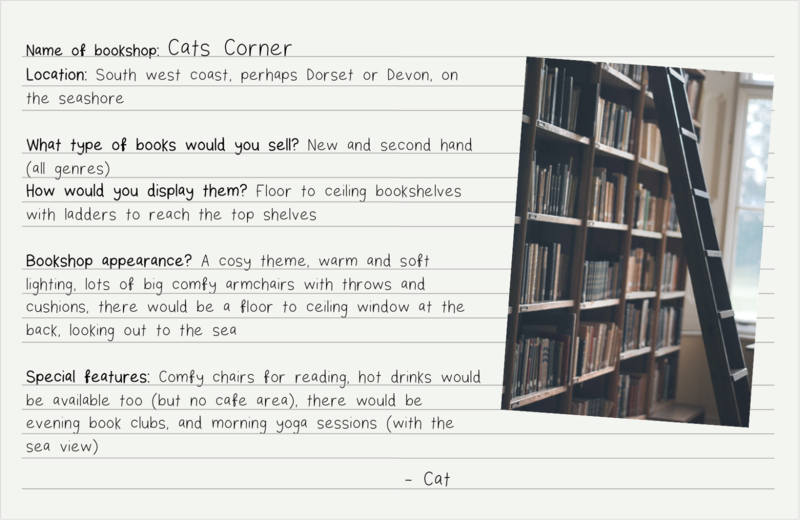 What would your dream bookshop be like? I very rarely make time to read books. I've been a little lazy with my hobbies over the past few months (especially when you're renovating a house, juggling everything can be hard work!) I've decided I must read more this year, ideally one book a month. I came across Dark Matter in a charity shop - best place to find cheap books! I thought it sounded interesting, although I had never heard of it before. The story revolves around Jack, a 28 year old living in London in 1937. He's very poor, and has lost his family. An expedition has been organised to the far north in Gruhunken, a deserted mine. Jack agrees to go with them, and so the three men set up camp in a small hut, but it's not too long before they experience a lot of bad luck despite previous warnings about Gruhunken. I instantly fell in love with this book. I loved the fact it was a ghost story, and I was ready for it! It started off a little scary, but I was left a little disappointed with the ending. Overall, it's a brilliant book and I definitely recommend it. It's been written beautifully, and you can easily relate to Jack's character. The ending took an unexpected turn for me, as I obviously had no idea what would happen, but I was hoping it wouldn't end like it did! I won't spoil it too much as it really is well worth a read. 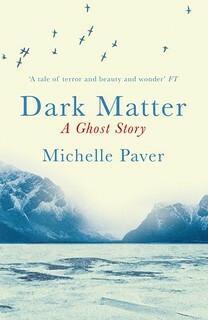 Have you read Dark Matter? What did you think of it? Grey London. Dirty and as dull as it’s name, void of magic and ruled by the looney King George. Red London. Flourishing and a beacon of prosperity where magic is revered. White London. Ruled by those blinded with power and murderous greed and magic can blind you right back. Black London. Dead. Non-existent. Defunct. Kell is a Red London traveller, adopted ambassador between the realms and a smuggler (just don’t tell the Prince about that last title). Though he sits in a privileged position at the right hand side Red London’s aristocracy, Kell dabbles in the dangerous hobby of offering ordinary people glimpses of the lands he is lucky enough to be able to travel between. Though a harmless plight at first, Kell soon gets mixed up with a petty thief who saves him from a shifty enemy. Together they're thrown into some seriously sticky situations and on towards adventure. This was my first venture into Victoria Schwab’s writing and I’m very impressed guys. Colourful and fantastically rich, A Darker Shade of Magic introduces us to a world that’s both intriguing and tailored made for magical mishaps to happen. Her key protagonist, Kell, to me suffers a little from what I’d like to coin 'displaced orphan syndrome’. He’s a little bit of a wanderer who doesn’t really fit in anywhere and navigates in the shadows of London(s). If anything he reminds me a lot of Hatter Madigan from The Looking Glass Wars (the large magical coat and reserved yet an endearing manner definitely help). We see most of the world though Kell’s travelling eyes - which definitely helpful as he takes us through all the different variations of London and his own special magical abilities. In terms of the world itself, well, it’s vast to say the least. Though there are recognisable landmarks through each incarnation of London, the three (formerly four) kingdoms each rich with it’s own history, social structure and political imbalance - nice to know things don’t change no matter what universe you step in. I will say with this amount of world building within the first few chapters of the book, it does distract a little from the key plot of the book. By the time you get a rough idea of the cities you’re already itching to find out what the main conflict of the story, which for some may be frustrating. Nevertheless, though this was only a preview excerpt it certainly whet my appetite for more! This post was written by regular reviewer Ria, get to now her here. I love a good mystery tale and having recently ‘Netflix marathoned’ every episode of the TV adaptation to date, I was keen to pick up the first in Sara Shepard’s famous Pretty Little Liars series which currently consists of no less than sixteen novels! Last year I read four of the books from another of Shepard’s popular YA series; The Lying Game. Having found the writing style very easy to fall into and becoming swept up in the mystery I was looking forward to another quick read that would keep me guessing. Pretty Little Liars follows teens Aria, Spencer, Emily and Hanna who’s friend Alison mysteriously went missing three years ago. When the now ex-best friends each start to receive threatening messages from the anonymous ‘A’ who seems to know all of their darkest secrets they are brought back together and start to suspect that Alison may be behind them. Book one introduces the characters and how their lives are intertwined by Ali’s disappearance, although having seen the TV series I felt like I knew the ‘Liars’ already despite the changes from the novel. The main characters described all differ visually from the actors cast in the show and I struggled to picture them how Shepard originally had, particularly since I was reading the TV tie-in edition with the actors on the cover! Mystery-wise I really love the premise of this series and found this quick read pretty entertaining. Overall I did enjoy both the drama and mystery of the story and although I tried to put the TV show aside whilst reading I found it very difficult to detach the novel from the adaptation. Perhaps if I had picked up the book first, with the story being completely new to me, I would have liked it more. Having said that I do plan to find time to read at least the next few in the series, as like many TV adaptations this short novel makes up just the pilot episode so there's so much more of the story to come. I'm hoping to see the characters develop as I felt they were much less likable than their TV counterparts and am also intrigued to see how the overall plot differs from the direction the TV series has taken. Tella's brother is dying of cancer, and there's nothing she can do about. Nothing, that is, until a strange blue box with an ear piece mysteriously appears on her bed one day. As she picks it, places the ear piece in, she hears a woman's voice, telling her that she has an invitation to be a part of the Brimstone Bleed, a race-like competition in which the prize for winning is a cure that will heal any sickness. Desperate to help her brother, Tella follows the instructions she's given and finds herself at the edge of jungle, carrying an egg that will supposedly help her during the race. As the race begins, the other competitors scatter, some forming groups to travel together until the last moment, when it's every man and woman for themselves. Tella teams up with a group of couldn't-be-more-different competitors and they battle their way through the first element of the Brimstone Bleed, and into the second. I really enjoyed this book. I hadn't actually heard of it before I found it in a sale, but I think it's sort of like a mixture between the Hunger Games and ... Maze Runner, perhaps. My favourite thing about this book was definitely Tella, as a character. She was hilarious, and sarcastic, and easily distracted, but stronger than she realises. I found myself often laughing out loud (literally...not just saying LOL when you don't really mean it), and wanting Tella to do well. The other characters were fun to read about, also, and while new characters were introduced a long the way, each had their own very distinct personality, which is something that I think Scott does very well. "I close my hand around the lid and pull it off. Inside is a tiny pillow. I imagine all sorts of miniature animals using it in their miniature beds. But that's dumb, because how would they ever find a pillowcase to fit?" Heh heh. The book is full of unexpected sentence endings like that. It's written in first person, which meant Tella's humour was even more prominent, and even though what hatched from the eggs I mentioned previously, turned out to be a little bit strange, it was a very enjoyable book. I'm definitely looking forward to the next one, Salt & Stone, which I think is in the next few weeks! 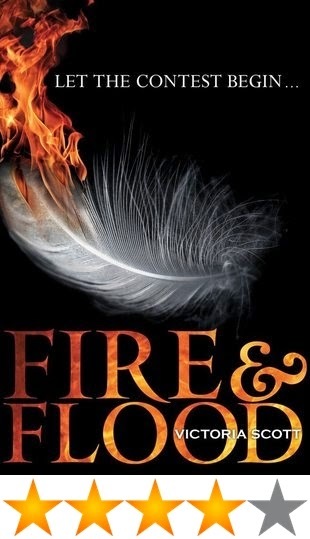 If you like YA dystopian novels (although this one isn't really dystopian...similar though), with funny leading females, pick Fire & Flood up next time you're in the library. It's a great read. 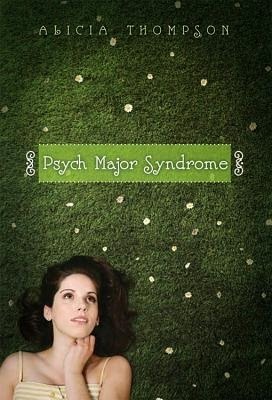 Psych Major Syndrome is a fun contemporary about Leigh, a student who has just started Uni (or College, since the book is American) studying Psychology. In a long-term relationship with her high school boyfriend, Leigh begins to see that he isn't all he's cracked up to be and strains start to show within their relationship. This book is a typical college romance story packed full of clichés (it was published by Disney Hyperion, after all) but it was really really fun to read. Studying psychology myself, I enjoyed that towards the beginning there was mention of some main theories/aspects of psychology but these slowly tapered out as the book went on. Each chapter had a heading and that heading would be a psychological term suitable for the events that would unfold within the chapter. I thought this was a really fun way to incorporate psychology throughout the book without making it boring. The characters within the book are all either lovable or hate-able and they were very clearly written that way, it was obvious who we were supposed to grow attached to and who we were supposed to dislike, which worked within this book since it isn't to be taken as a great piece of literature or anything, it's just fun to read. The story focuses very heavily on the dying relationship, developing romance and friendship between Leigh and her roommate. All of these aspects worked together in my opinion and I sped through this book within a few hours, dying to know what was going to happen. Admittedly, it was quite predictable so don't go into this book expecting major twists and turns because there isn't any, it's just a super fun, quick read and I'd recommend you pick it up if you like those kinds of books. 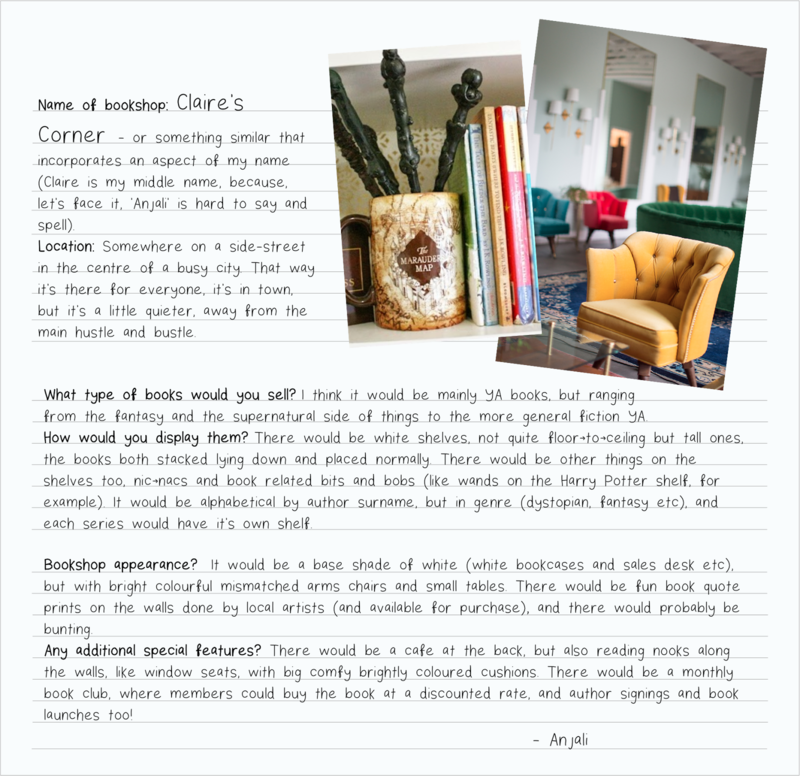 This post was written by regular reviewer Christina, get to know her here. 1/ Goodreads Recommendations - a simple one to kick off with, the recommendations page on Goodreads is a great place to start looking for your next favourite book. Selecting titles based on each of your shelves Goodreads allows you easily to scroll through and read the synopsis of each one. It also details why you have received the recommendation in the 'Because you added...' section, and similarly on each book's page there is a 'Reader's Also Enjoyed' section - very handy if you're looking for a similar read. 2/ What Should I Read Next? - although there are now several of these next read generator style websites out there, What Should I Read Next? has to be my top pick. It's clean and simple design is easy to use and will provide a long list of books based on tags and lists created by other readers. 3/ The TBR Jar - this one is for those of you who can't resist a book haul! If like many readers you have a whole host of unread books sitting on your shelves or e-reader why not write down each of the titles on a strip of paper and add them into a jar so you can pick out your next read at random. It's perfect for those who aren't 'mood readers' and love a surprise (although you could even create multiple jars, one for each genre), plus it's a brilliant way to cross some titles off of that long TBR list. 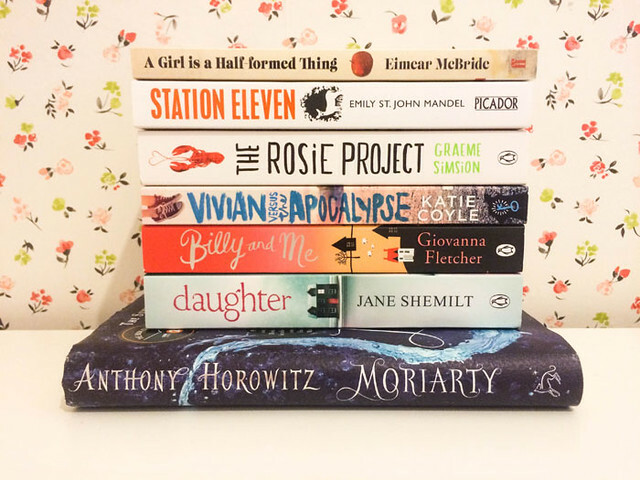 4/ #bookbloggers - the weekly book bloggers Twitter chat, which takes place every Tuesday at 7pm UK time is another brilliant way to connect with other readers and find out what they've been enjoying lately. Along with many other book-related social media hashtags (#currentlyreading, #whattoread, #mustreads, #bookstagram etc) it's also the perfect way to discover more book blogs which are full of reviews and recommendations that may inspire you to pick up something new. 5/ The YA Flowchart - if YA is your thing this colourful interactive flowchart could be your new BFF when it comes to choosing your next read. 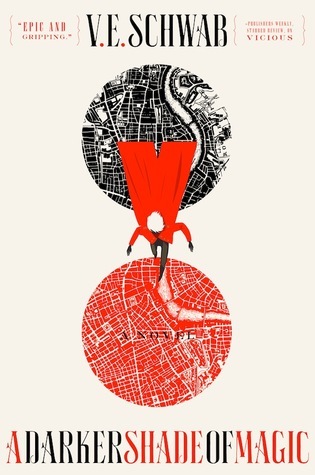 Whilst it may not provide and endless wealth of suggestions there are twenty-two YA titles to choose from, some more well-known than others, hopefully including one or two that even the biggest YA fan may not have discovered yet. 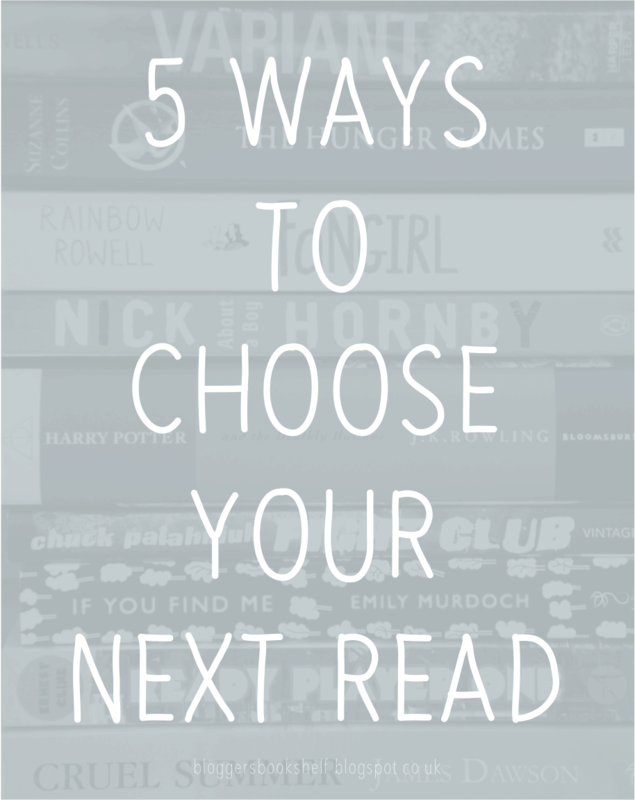 How do you usually choose your next read? 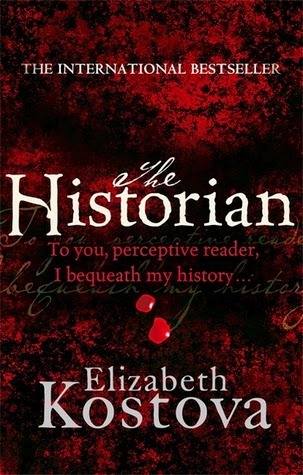 'The Historian' is a bit of an epic ride, and it took me three weeks to finish! My copy was 704 pages, so it's definitely not a quick read. The narrator of the novel tells us that she is going to relate her father's story to us. In his library she finds some letters beginning "My dear and unfortunate successor...". When she asks her father about them, so begins the sprawling tale of his search across Eastern Europe for a legend. It is no great spoiler to tell you that the story is about Dracula. The narrator's father, Paul, is introduced to the legend of Dracula/Drakulya when he finds an antique leather-bound book on his desk at the university. The pages are all blank apart from a distinctive design in the centre. Paul is confused by the discovery until his talks to his advisor, Bartholomew Rossi, who confides that he, too, found one of the same books among his personal items, and embarked upon a journey of a lifetime. We end up following the journeys through the East, the reign of the Ottomans and Turks, of Rossi, Paul, and the narrator's mother. The story is, as another reviewer remarked, "a slow burner". It took me several hundred pages to become really interested in the novel, and to feel like I wanted to find out what was going on. The majority of the book is made up of other people's accounts of their travels and research into Dracula. However, I did not find it difficult to keep up with whoever was telling their part of the story. I knew that the main story was told by Paul, and that any other parts were told by other characters, until the narrator herself rounds off everything she learned from the various sources. There is a good sensation of suspense and apprehension throughout the final half of the book, I'd say. The characters in the story become some involved in their search and completely intertwined with Dracula's journey that the reader cannot help but become absorbed with them. Their search is compelling. Each new discovery, each seemingly-unrelated piece of information comes together slowly slowly, until there is a physical chase for the vampire himself. I was not completely in love with this novel. I think its length didn't help the situation. I often start to think "hurry up, this is taking too long!" when a book is lengthy. I long to get to the end just to finish it, not only out of a desire to know where the story goes. Though I must say that once I got caught up in the adventure, I longed for my next chance to read it. I know that this is a paranormal, fantasy story, but I really believed that all of the discoveries and occurrences were things that could have happened. The characters are all convincing historians with a thirst for knowledge, and the sense of danger is ever present. I really liked the author's obvious familiarity with Eastern Europe, the Balkans. Judging from her surname, I'm guessing she is Eastern European in origin, and she presents all of the places featured in the novel with an attentive eye for detail and culture. I don’t know about you but my thoughts on poetry when I first started reading it were pretty bland. Most of my memories consisted of boring English GCSE lessons spend over-analysing each individual line of a poem to the point where I couldn’t even remember what the poem was about in the first place. Fast forward to 2015 and somehow I’ve fallen back in love with this form of writing again and I believe you can too. For me poetry is very much like art, where you’re drawn to pieces you genuinely find interesting rather than being spoon fed the text in a school setting. Everyone finds their love for something in different ways, so I thought I’d offer some tips on how to fall back in love with poetry again. For me this was the key way I got back into this genre. I, like some people, spotted some of the better known slam poetry about feminism and racial equality on Youtube and got hooked. The topics were captivating, contemporary and more importantly it was p o w e r f u l. It’s an super easy way to work your way back in and requires very little effort to watch and enjoy. There's an ebb and a flow to the words in a poem, and the natural rhythm of this form of writing lends itself to being read aloud. Discover the power behind the words and have a play with reading it in different ways. If you have the chance, attend a poetry reading, like slam poetry it's an easy way to digest the text. 4. Don't reach for the classics just yet! I think there's a pressure, like with any art form to reach straight for the likes of Blake or Ginsberg. But just because they're considered 'classic' doesn't mean you will necessarily enjoy them. Delve into the genre and discover what makes you tick. That may be poems by Wordsworth or it may even be writing by up and coming 21st Century poets. 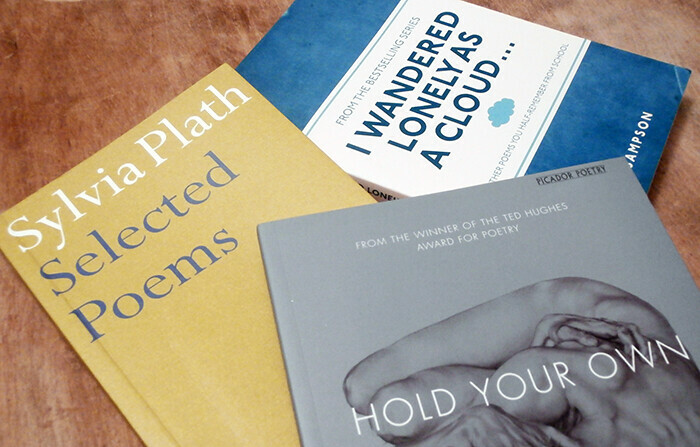 So there’s four easy ways to ease your way back into reading poetry again. The Bookshop Book is the perfect guide for bibliophiles everywhere – it will make you want to visit every bookshop mentioned, open your own… or most likely, both! This clever little guide showcases the world’s best bookshops from those you may have heard of to the hidden gems, featuring profiles on amazing bookshops from every continent. Alongside these are interviews with authors and bookshop owners, related facts and even some of Jen’s personal stories from her experience as a bookseller, which were fun additions to this informative coffee table title. Having received an ebook copy (which considering the subject matter felt a little strange!) I am now keen to pick up the paperback as I think it would be a great reference book to have around for a little book buying inspiration. 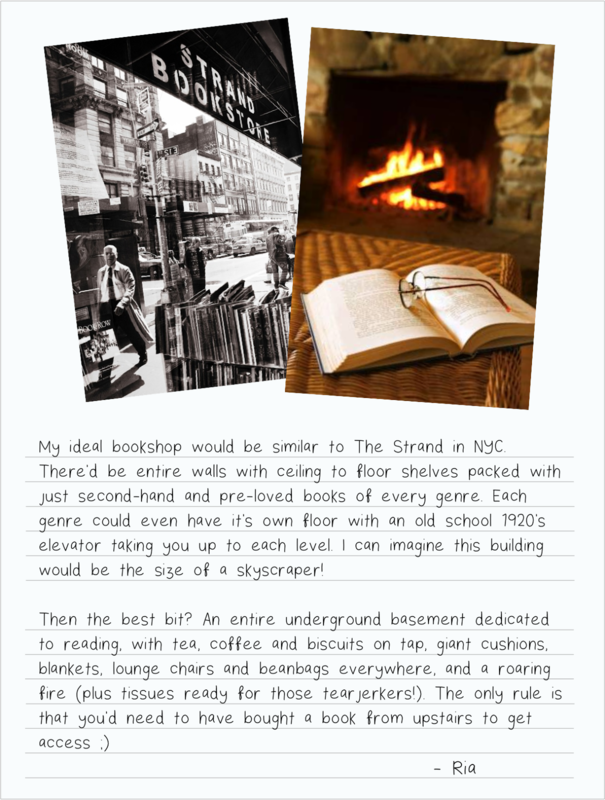 As I made my way through each chapter I found myself reaching for a pen and paper to make note of the locations of the shops I’d most love to visit as well as some of the fascinating ‘bookish facts’ – a sure sign this is one to add to my collection. I really enjoyed reading The Bookshop Book and learning just how many amazing independent stores are still out there just waiting to be discovered by bibliophiles. At a time where more people are buying their books online than ever before The Bookshop Book is the perfect reminder of just how awesome bookshops really are!